Well Summer is sooo close you can feel it. And with Summer comes more down hill fun In the sun!! Starting next Friday (5/10/17) we will be kicking off our Friday Sun- Down Gravity Run sessions. These run every Friday from 5:30pm till 7pm and gives you 90 minutes of unlimited runs for Only $20 per person. 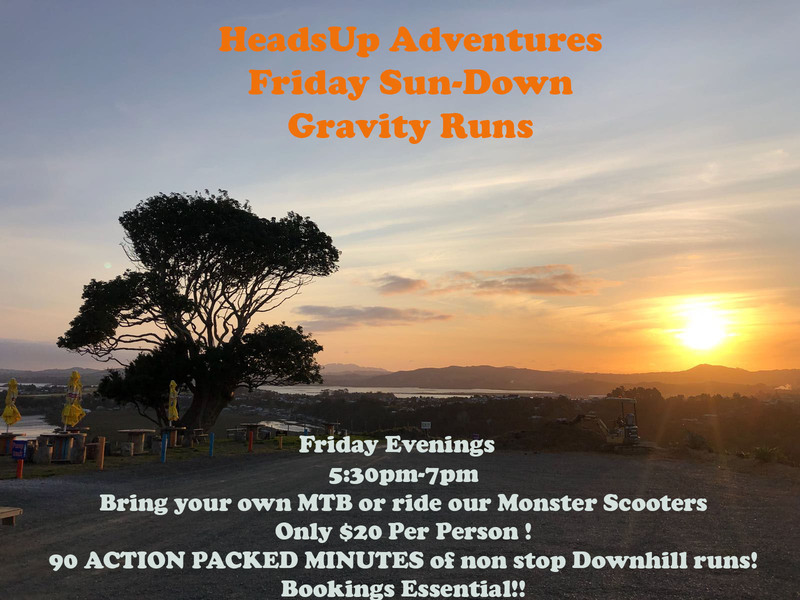 So once you are done with work for the week, why not come on over to HeadsUp Adventures and smash out some downhill action before the weekend rush!! Bookings are essential as things are starting to get busy.